Analysis of borrowing behavior among small businesses suggests SMB borrowers are increasingly turning to mobile devices to access funding, according to new data from Kabbage. The SMB lending platform announced news on Wednesday (March 28) that a survey of nearly 150,o0o small businesses revealed a more than 360 percent increase in the number of loans accessed via mobile device between April 2014 and February 2018. 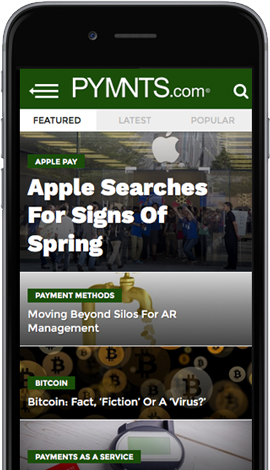 The value of financing accessed via mobile device increased during that time too, by more than 1,220 percent, Kabbage said. According to the company, the statistics suggest small businesses see mobile devices as a tool to meet their demand for fast, convenient financing. Treyger added that Kabbage is hoping to embrace and fuel this trend by meeting “small business owners where they are.” The company offers a mobile app through which borrowers can apply for and access small business loans. In addition to offering mobile services, Kabbage has recently focused on diversifying its financing sources. Late last year, the company announced it secured a credit facility from Credit Suisse. The $200 million revolving credit facility would help the company focus on expansion and enable loans with longer terms to SMBs, Kabbage said at the time. The company also previously partnered with Santander UK, which agreed to license the Kabbage Platform to increase its own small business lending operations. But the platform has faced barriers to expansion. Last November, a small business borrower sued Kabbage and Celtic Bank in a case challenging the definition of a “true lender,” an increasingly unclear term in an era in which borrowers access financing on one platform and receive funds from a third party.